The founder and first Grand Master of the Order was born around 1040 in Scala, a village a few kilometres from Amalfi in southern Italy. In the second half of the 11th century he went to Jerusalem where he began to work in the hospital next to the church of St. Mary Latin, built by Amalfi merchants to receive pilgrims and tend the sick. Legend has it that in 1099, during the Siege of Jerusalem by the Crusaders, Blessed Gerard threw bread to them from the walls but when he was arrested the bread had miraculously turned into stones. To build up the institution he ran, Blessed Gerard transformed it into a religious order dedicated to St. John Baptist. On 15 February 1113, Pope Paschal II officially recognised the monastic community of the Hospitallers of St. John of Jerusalem. The pope’s document gives an indication of the role and importance of the Order’s founder and demonstrates the significance of the service offered to the pilgrims and the poor in the Jerusalem hospital. It also gives a list of its hospitals and hospices in France and Italy, proving that the order established by Blessed Gerard – a few decades after its foundation – was not limited to the Latin Kingdom of Jerusalem but already had a European dimension. 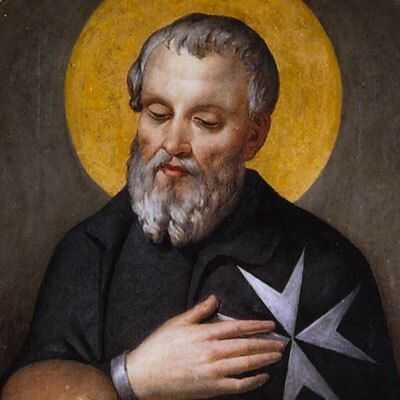 Blessed Gerard died in Jerusalem on 3 September 1120. His directions and his example constitutes the basis for the Order’s first written Rule issued by Fra’ Raymond de Puy – second Grand Master – between 1145 and 1153. The Catholic Church considers him blessed and remembers him on 13 October. 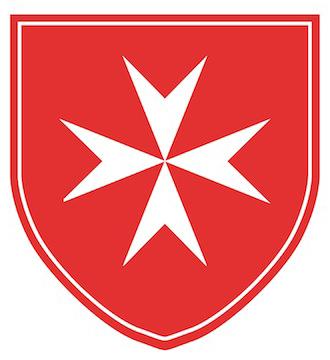 The birth of the Order of St. John dates back to around 1048. Merchants from the ancient Marine Republic of Amalfi obtained from the Caliph of Egypt the authorisation to build a church, convent and hospital in Jerusalem, to care for pilgrims of any religious faith or race. The Order of St. John of Jerusalem – the monastic community which ran the hospital – became independent under the guidance of its founder, Blessed Gérard.